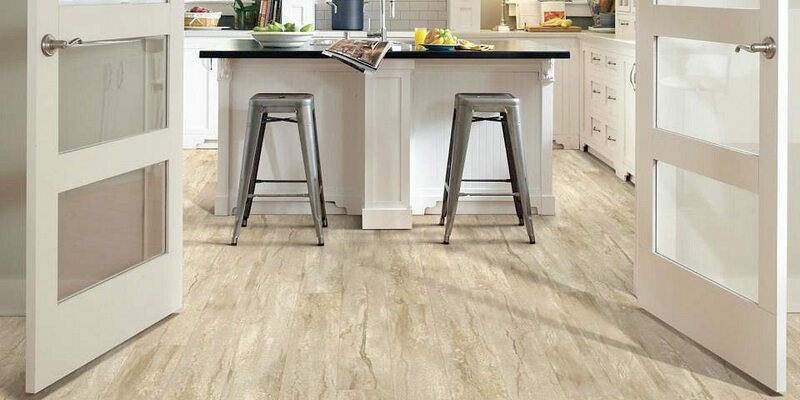 This is a sponsored conversation written by me on behalf of Shaw Floors. The opinions and love of beautiful floors are all mine. 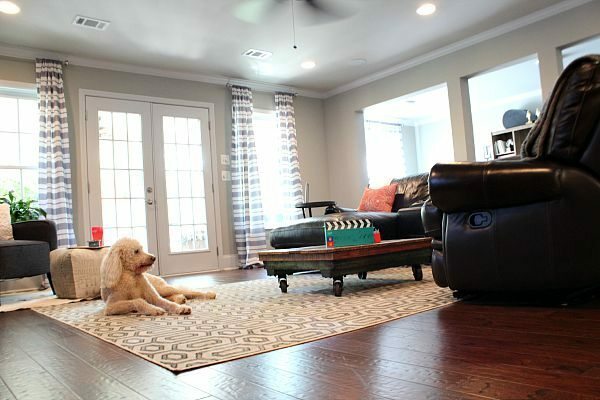 When we decided to finish our basement one of the biggest decisions we made was choosing flooring. Care was taken to consider several things. One of the most important for us was the location. I’m sharing thoughts and inspiration. I hope you find it helpful! 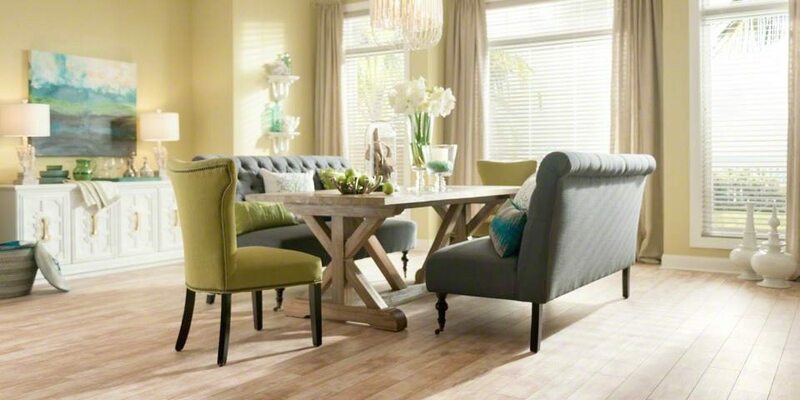 Farmhouse, Modern or Tradition – there are so many beautiful options available. It can be hard to choose. Think about how your family will use the space. Choose a color that you are drawn to. So many times we go with trends, for myself I go with what I love. 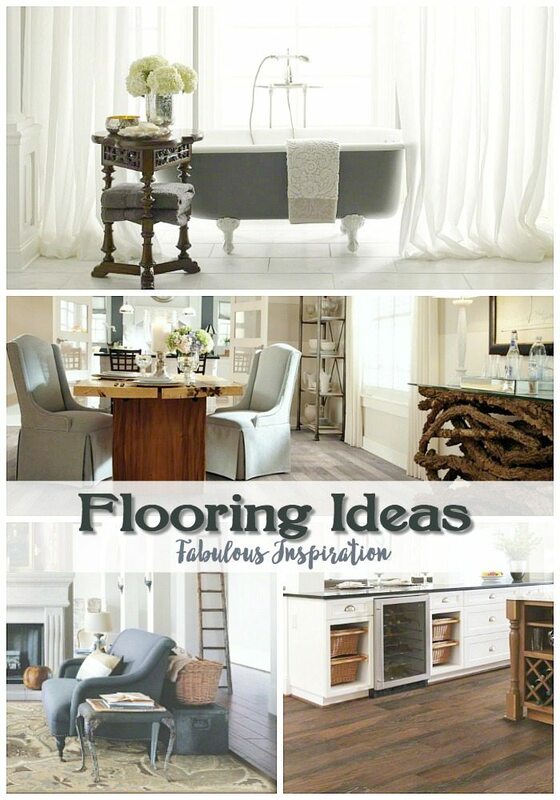 The inspiration below are from Shaw Floors, floors you’ll love, let me show you a few that caught my eye. 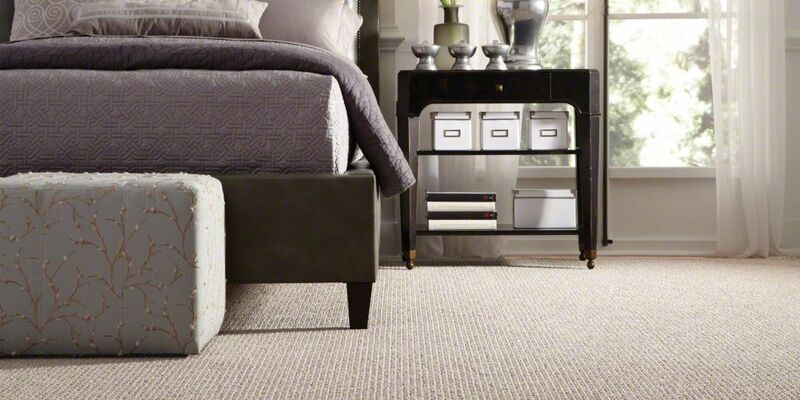 After all, it’s more than flooring, it’s where you live your life. Dark floors and eclectic furnishings make my heart happy. In our home the main living areas and basement have dark flooring, even the kitchen. It’s always been a favorite of mine. That’s a personal choice but as you see the photo below with light furniture and light flooring, it’s is bright and inviting. You can’t go wrong with either, which one is your style? 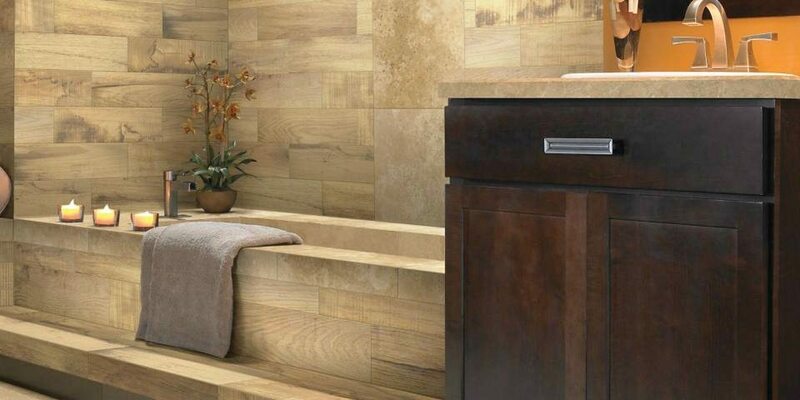 There are beautiful choices from hardwood, laminate, tile & stone and resilient luxury vinyl. 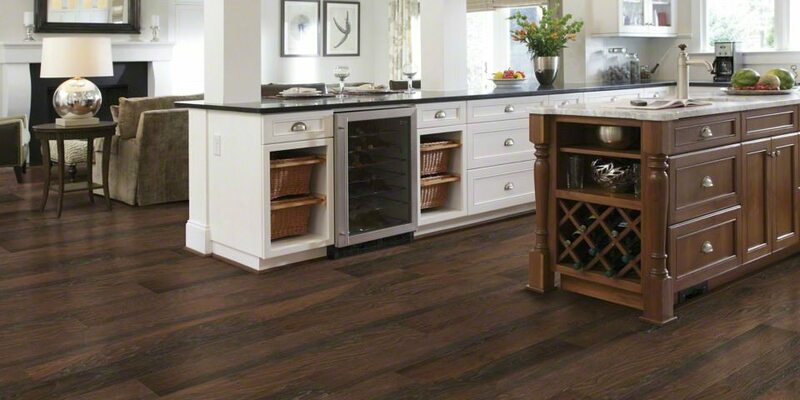 We’ve lived in several homes with wood floors in the kitchen and I absolutely love them! I usually put a rug in front of the sink and cook area. At Shaw, they have options for the look if you don’t want the real thing, like the luxury vinyl, Floorte. 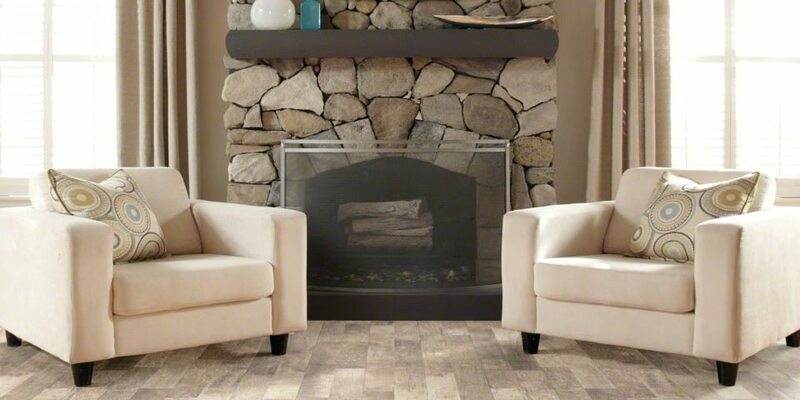 Whether you are a light or dark flooring fan, Shaw Floors has so many choices. Light and bright, warm and inviting. 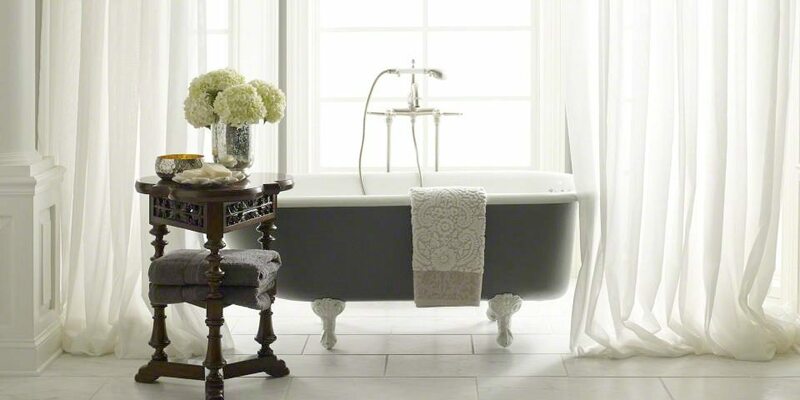 What a beautiful way to start your morning or end the day with a soothing bathroom. We’ve had both, wood and carpet in the bedrooms. When my feet hit the floor, I love the warmth of carpet. 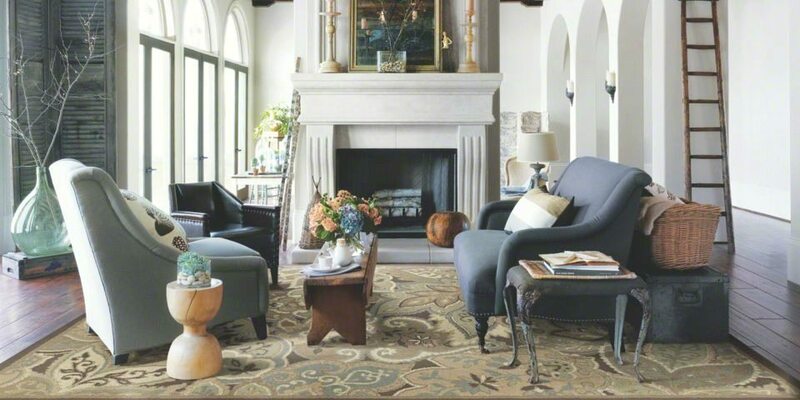 But if you choose something like wood or tile, Shaw can make any carpet in to a rug, it’s called Cut a Rug. We have the My Expression in all of our bedrooms. 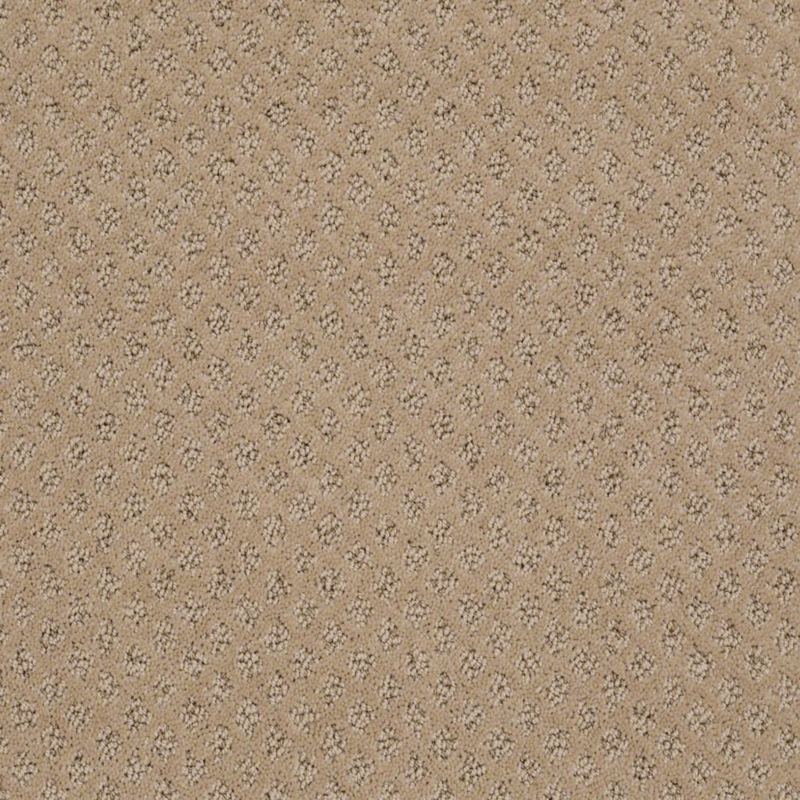 I love the texture and livability of the carpet. 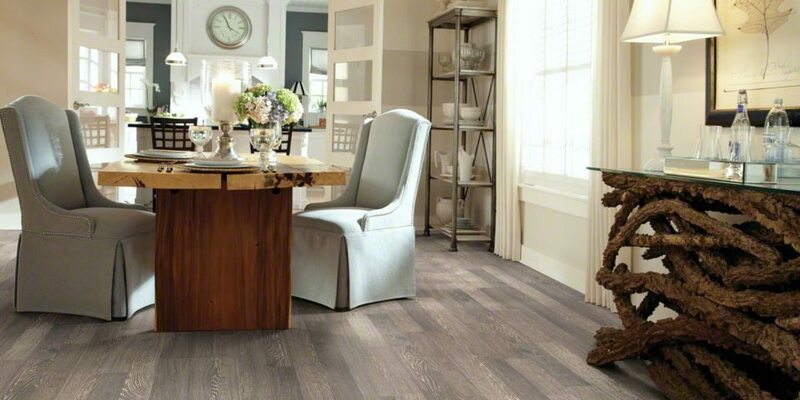 If you’re in the market for flooring, check out all the options from Shaw for design tips and learn more about flooring from the pros. Love the photos. That old gray claw foot tub was a reminder of what I did to a new bathroom we added on. Nothing like the great shape to relax and shave your legs. Smiles over my cup of coffee,thanks. Yes that tub is amazing! In the process of remodeling a bathroom i our rental unit! Great ideas here! 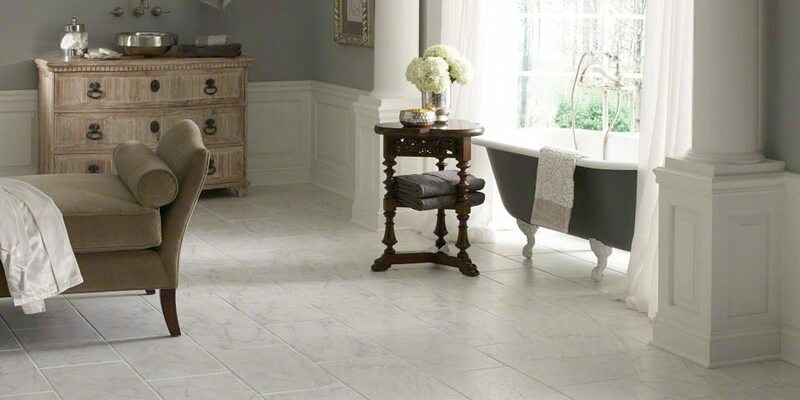 We are about to remodel our master bathroom and seeing your great photos really has helped us in our decision-making for flooring! About 8 years ago, we put hardwood in our kitchen and what a mistake that was. There are too many water spills, runaway ice cubes, sloppy-drinking dogs and leaky dishwashers to maintain a nice solid hardwood. In a few years, we will need to replace that flooring too. Thank you for sharing these photos! Great post. I just love all the new choices for floors. I do too Yvonne, flooring has come a long way!